ideas today! I am a sucker for a cute laundry room. you might as well be in a room that's CUTE! hang your child's artwork in your laundry room! 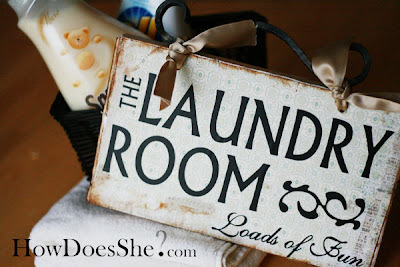 Beautiful signs,I love homemade laundry soap.. I always wanted to try the homemade laundry soap. think ill give it a go. 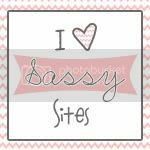 Excellent blog work...all of the posts I've viewed. I especially like the hair piece done with crocheted work. If you don't mind, I'm going to begin following you so I won't miss anything. 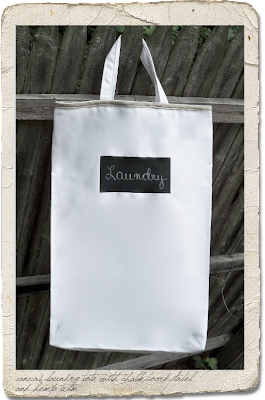 Thank you so much for featuring my laundry bag. I'm happy you liked it. 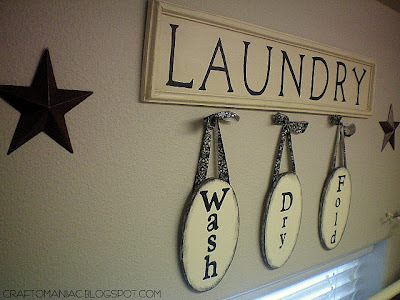 I love your laundry room decor as well!